It may be super #basic to say, but y’all I LOVE Valentine’s Day! I mean, any holiday that is all about wearing the color pink & decorating with hearts is totally up my alley! 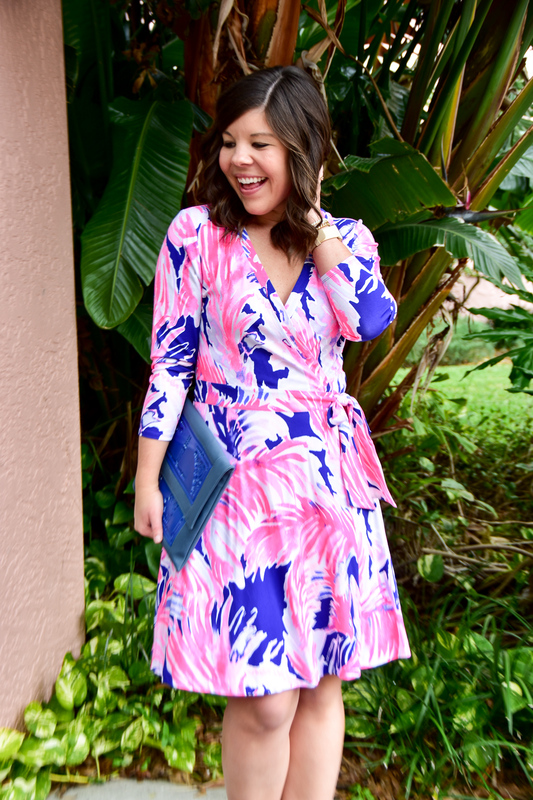 When it came time to think about what I wanted to wear to celebrate this year, the choice was pretty easy- this gorgeous Emilia wrap dress was made for a day of love (and a hot date that night!) 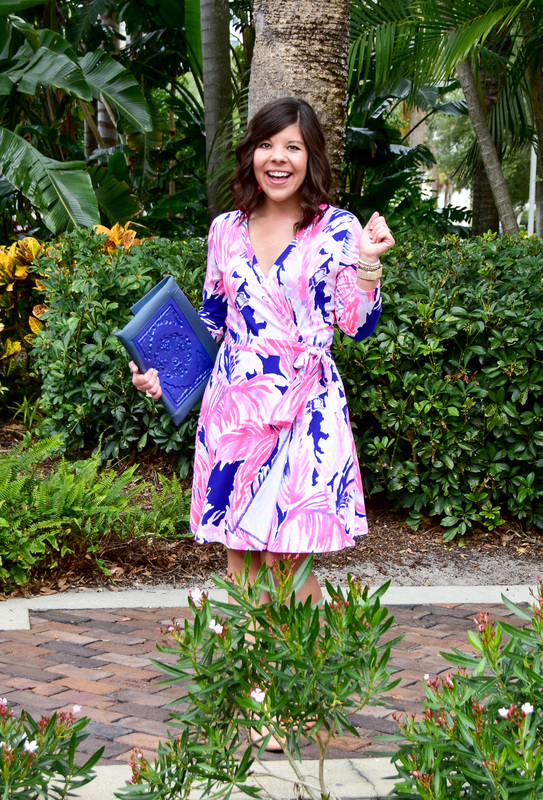 I wasn’t sure I could pull off a wrap dress- not being #blessed in the top and all- but the shape and cut of this one is so flattering that literally any woman would look and feel her most fabulous in it! 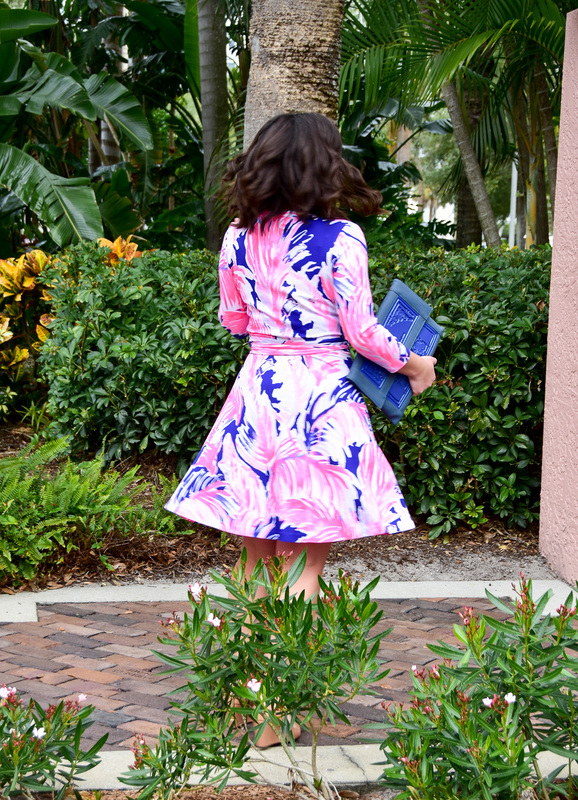 There is nothing better than a dress that is made for twirling! Just a note: this dress is pretty low cut, so if you can’t “fill it out” I would recommend wearing a cami or bralette underneath so there are no peek-a-boos that happen unintentionally! ha! So excited to be co-hosting the Trend Spin Link-Up today! 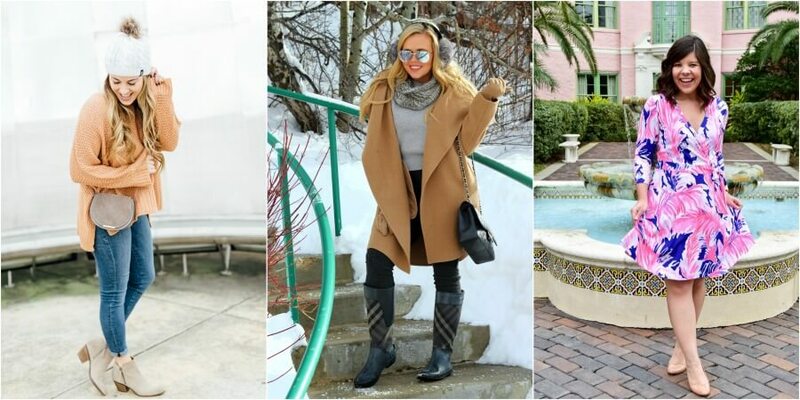 Share your look with us by linking up below! 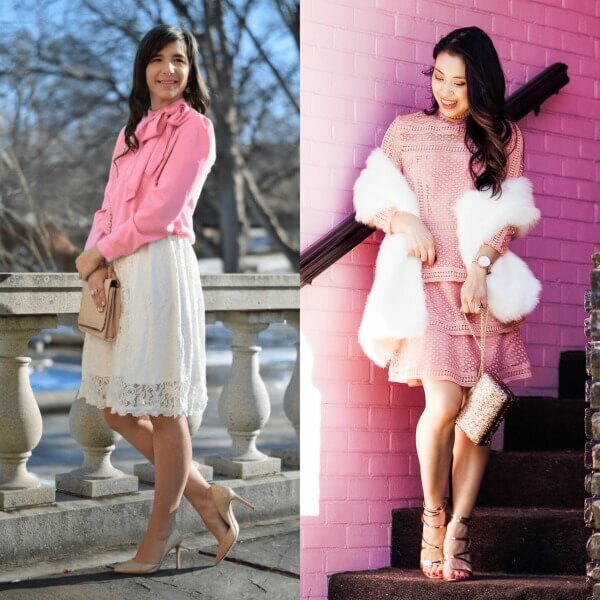 This week’s featured bloggers are More to Mrs. E and Cute & Little! Next week is Fleece & Faux Fur, so start planning your outfits! Previous Post February 2018 Book Reviews + GIVEAWAY!!! Next Post I Heart You! Between the fabulous dress and the background, I am dreaming off a beach/Mexico vacation. Hahaha. 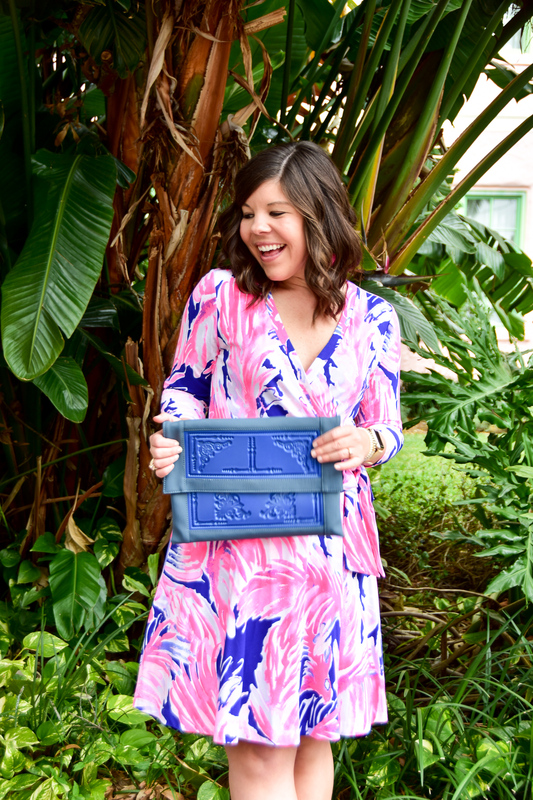 It’s been sooooo frigid cold around here that this outfits reminds me that soon (not soon enough) summer clothes will once again be reappearing in my closet but until then I can just be gushing over how well you pulled off this dress. It’s already back to the 70s in Florida- hard to believe other people are still in winter mode! 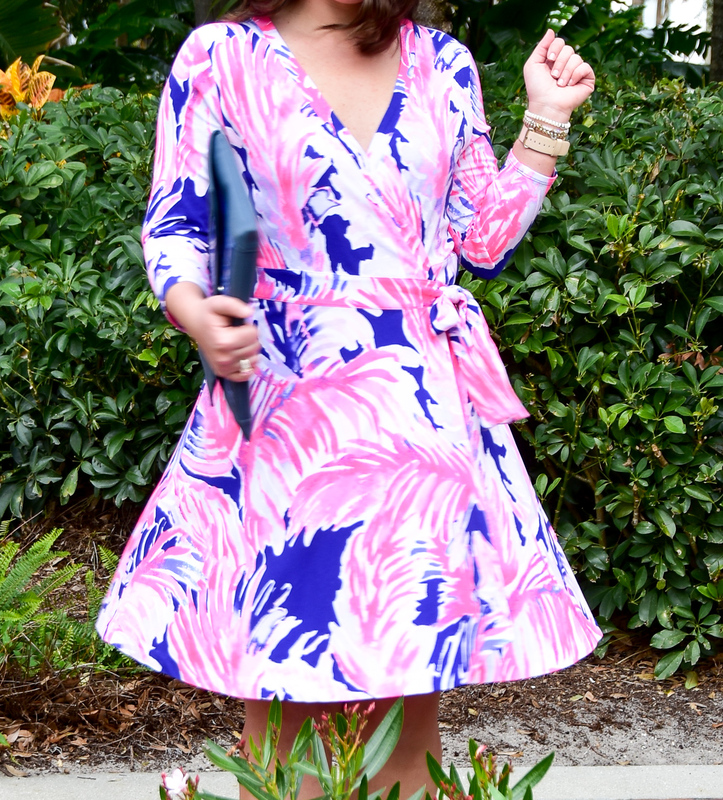 You always look so cute in Lilly! This dress is perfect for Valentine’s Day! Thanks ladies! I was so excited to rock this dress for the holiday! I always love coming to your blog and seeing how happy you are, it is so refreshing! This dress is beautiful and looks amazing on you. Also, totally obsessed with your bag! You are always to sweet Elise!! Thank you for taking the time to stop by! You look adorable!! I hadn’t seen this dress yet, but I absolutely love the pink for Valentine’s Day!! A wrap dress is really flattering on any figure. You look gorgeous in this and I love the bright colors in this! 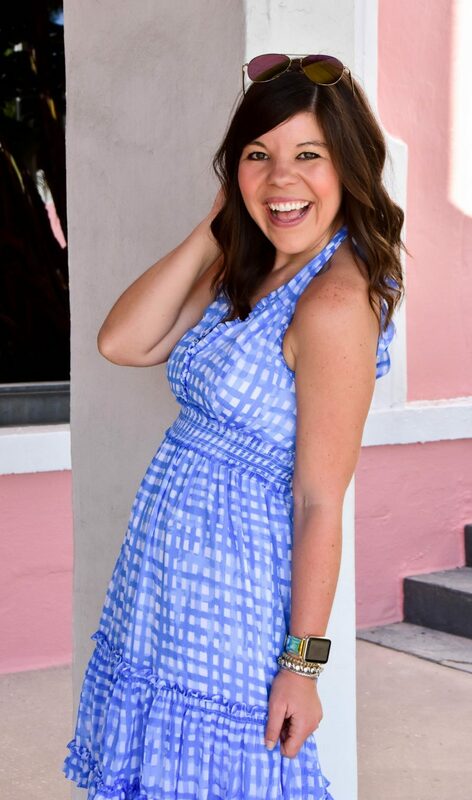 I love when dresses go with twirling, they make for great pictures! I love that dress, it’s so beautiful. This is the cutest little wrap dress! I’ve been obsessed with wrap dresses lately, so flattering. Love these colors too! This dress looks absolutely gorgeous on you!! I haven’t bought Lilly in a while and got a cute two-piece set from the After Party sale and it is a little too small… ughhh. So sad! Oh no!! I’m so sorry to hear that- sometimes her sizing can be a little off! So chic and pretty! Loving the lively and cute colors, really perfect on you dear.